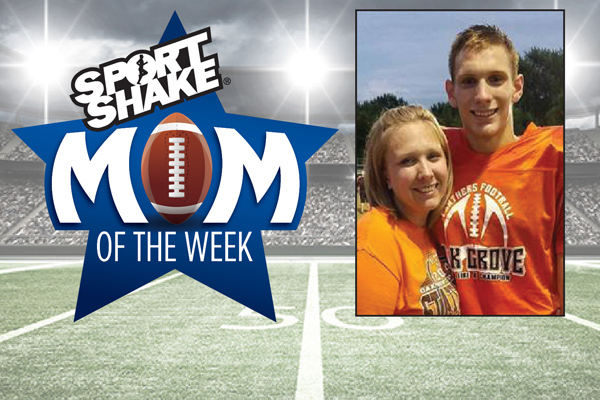 Sport Shake and PrepsKC want to honor these unsung heroes with the first annual Mom of the Week contest. Each week you can nominate a mother for the Mom of the Week contest by submitting an essay telling us why your mom’s impact is important to your individual or team success. Each week the winning essay will earn that team’s booster club a $1,000 gift courtesy of Sports Shake. This week’s winner is Samantha Creason from Oak Grove. She was nominated by another mother for her work with the team along with her busy everyday life. Here is an excerpt from her nomination.